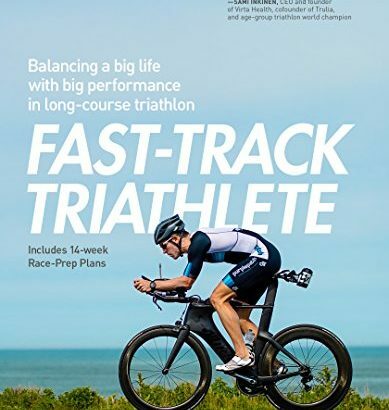 A nice excerpt from a book that I’m reading: “Fast-Track Triathlete: Balancing a Big Life with Big Performance in Long-Course Triathlon”. Don’t let the title scare you off. 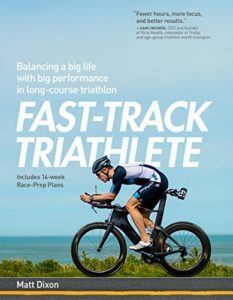 There’s plenty of good advice within its pages even if you don’t have your sights set on qualifying for Kona. If, on a week-to-week, day-to-day, or task-to-task basis, you focus on training that feeds your soul and promotes self-improvement, you will bring yourself many benefits and even happiness. It’s important that you have an escape and a place for mindfulness, purely for you. Even if you are passionate about your job, it does not necessarily serve this purpose. The same goes for your family and social life because you are often still making sacrifices in these areas. Not all training can achieve this ideal; in fact, some athletes never rise above a state of physical struggle, particularly if they haven’t learned to be present during their workouts. However, if you can break that code that enables you to be truly mindful, you will reap benefits even beyond the layering of positive adaptations. You will experience an immensely positive, soul-enriching, energy-feeding, spiritual component to training that will benefit your overall health, reduce stress, and help you become whole as a person. As effective training becomes habitual, the training itself (even the hard interval training) can become recharging. Such opportunities to recapture personal energy are rare for busy people, but in striving to become intentional athletes, you can improve athletically and use your athletic pursuits to benefit your broader busy life. You can transform this renewed energy into greater focus and banish those typical mistakes made through stress mismanagement. When the right mindset is employed to habitually practice effective training, the overall life yield is so great. This approach to training is grossly understated as a value proposition. If you retain a fear-based mindset focused on gauging your success via accumulation of mileage, volume, or duration, you will enter a black hole of performance predictability and never reap this success on a broader scale.